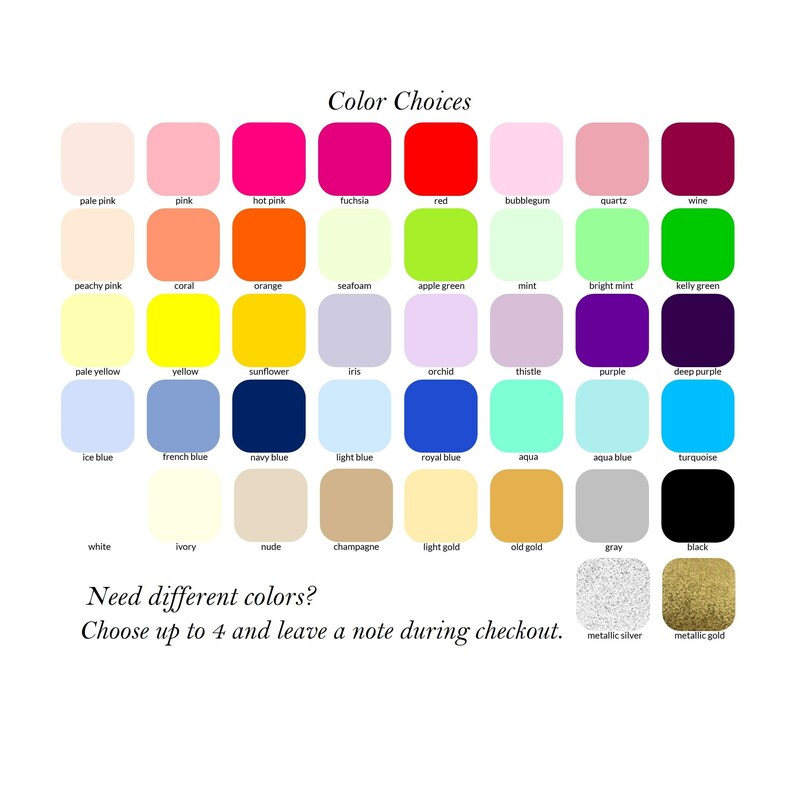 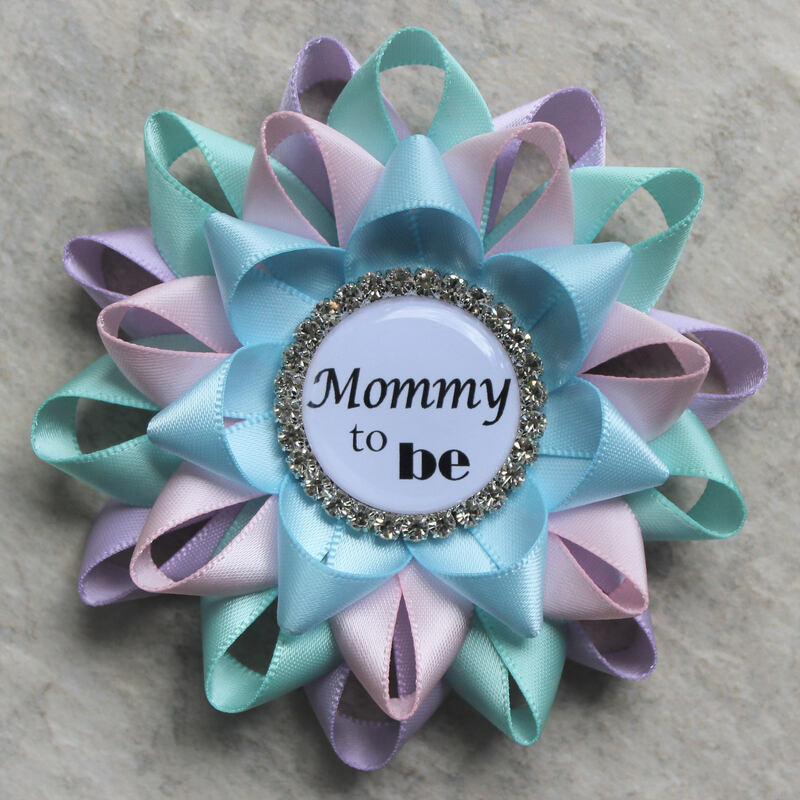 Planning a gender neutral baby shower? 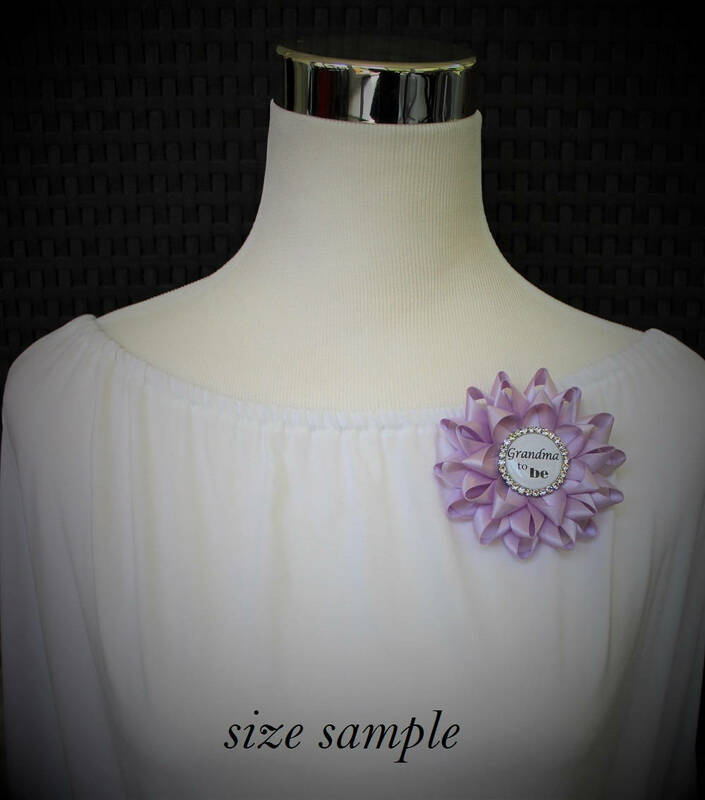 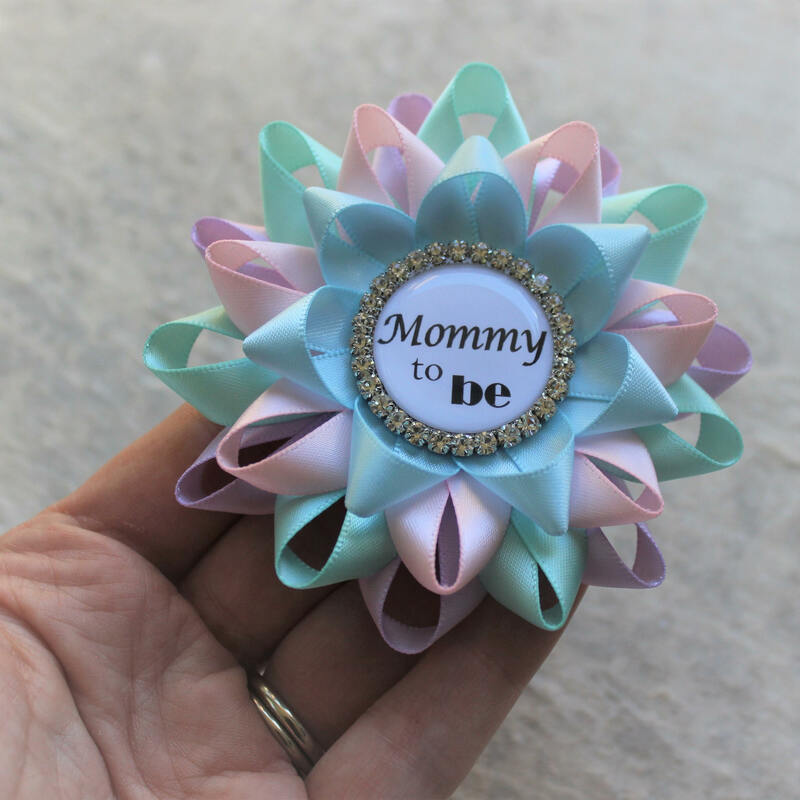 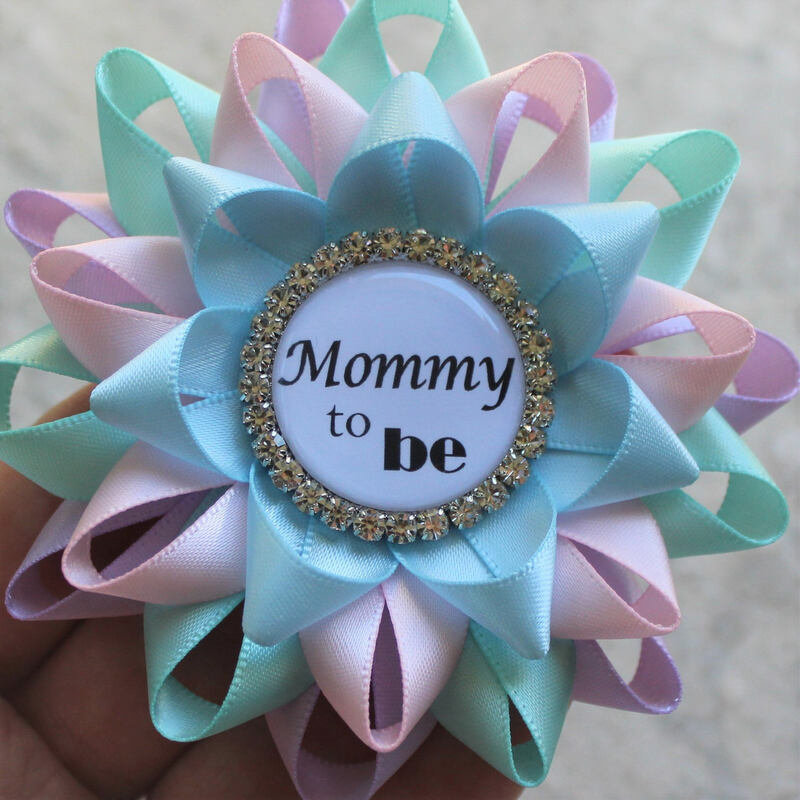 This Mommy-to-be corsage can also be customized for your guests! 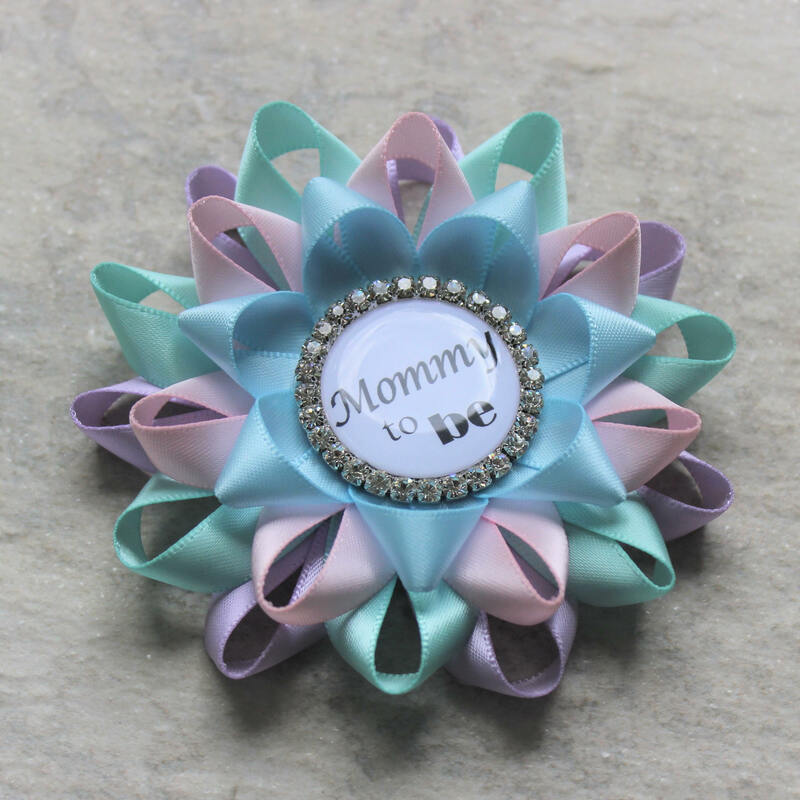 Each flower is handmade from satin ribbon in Pale Pink, Light Blue, Orchid and Aqua, and is 3 1/4" inches wide with a pin backing. 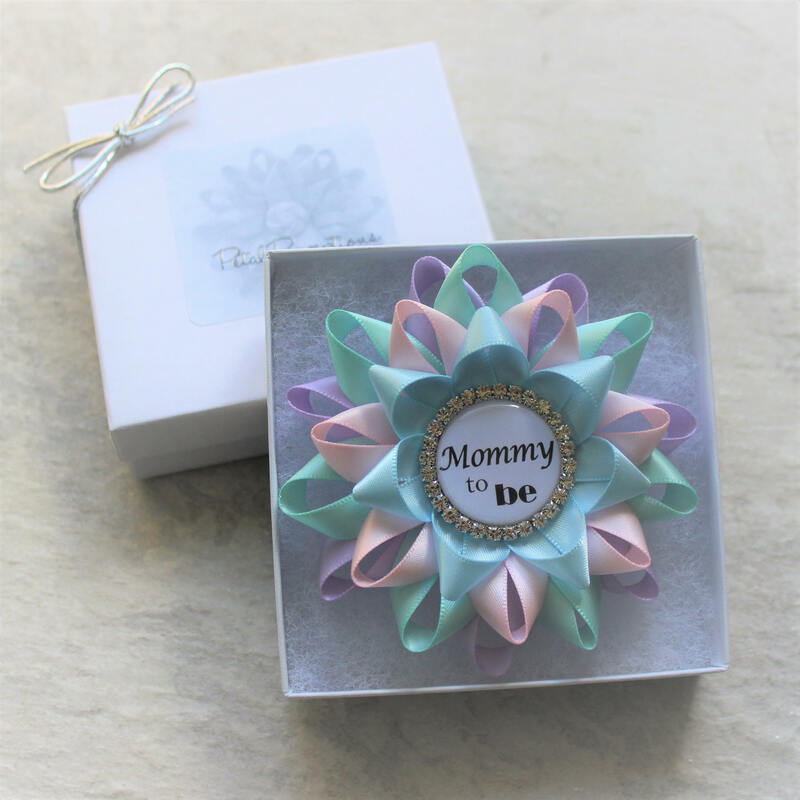 Each pin comes packaged in a gift box with outer bow.